As you no doubt already know the sewcialists host themed monthly challenges. They did Sew Red October and then Grunge November and now….. 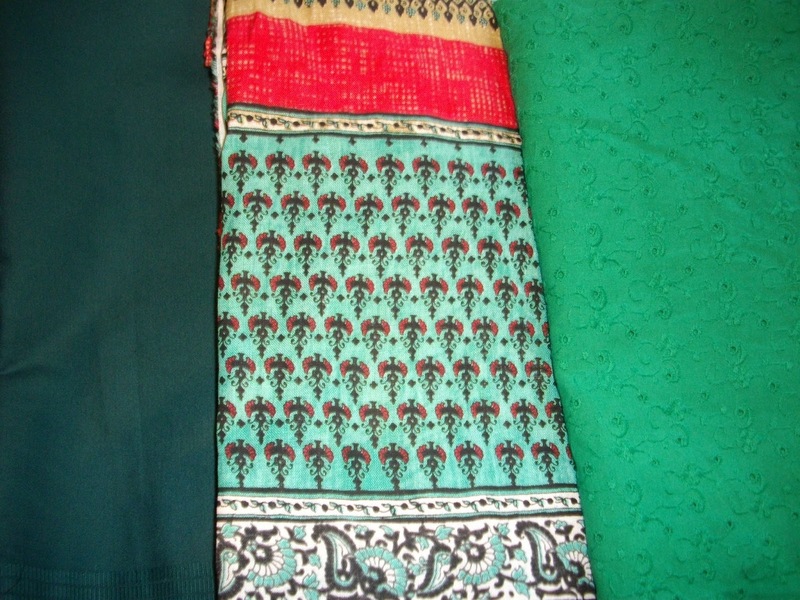 The dark green cotton/spandex on the left will become close fitting pants. (yeah first pants I’ve sewn in 30 years). The middle fabric is gorgeous border print linen and will become a Christmas Day dress (not sure which pattern yet) while the eyelet fabric is destined to become a cool comfy top for our annual end of year raft trip on Kiew Lom dam. Gee, raft trip sounds so outdoorsy and active. In reality it is a very large raft with 30-40 people, lots of good food, beer and wine. Don’t worry I’ll post pictures and all will be clear (after Dec 28 which is day of raft trip). So are you a sewcialist? 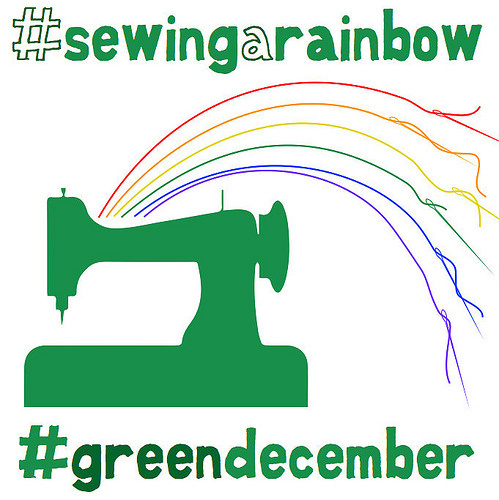 Any plans for Sew Green December? I didn't have any green in my stash either. At the moment I have a very modest stash – that seems to grow by the week – so that won't be true for long. It is one of the things I like about the sewcialist sewing themes – it prompts me to think outside the box a little.